Arthur T. Kalaher Fine Art Gallery is located on the East End of Long Island in the historic village of Southampton New York. For over 30 years we have provided a tradition of aesthetic excellence in fine art to our clients. We particularly pride ourselves in presenting talent at the cusp of current trends, while offering fair value. We showcase a select collection of traditional and contemporary artists including Andrew Hart Adler, Carolyn Beegan, Paton Miller, Rolph Scarlett, Joe Chierchio, Elizabeth Aline Colborne,Thomas Cardone, Jean Calogero, John Crimmins, Charles Levier, Eugene Higgins, Morris Katz, Niek van der Plas, Fairfield Porter, Johann Neumann and Whitney Myron Hubbard. In addition, we are known for offering a unique selection of prized local works from the Peconic Bay Impressionists not available elsewhere. 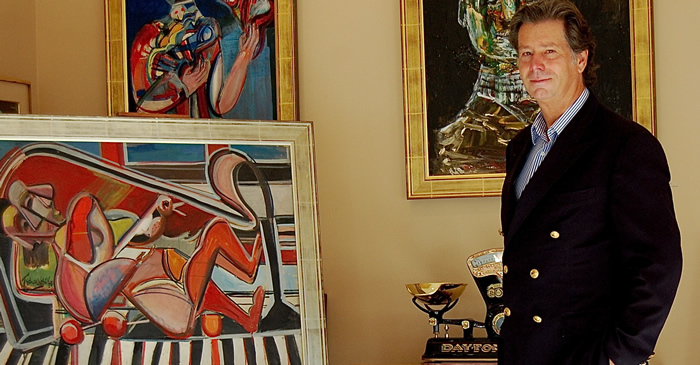 Our gallery is also the exclusive repository of the estate of the renowned 20th century artist Nahum Tschacbasov, a contemporary of Picasso and Calder. Tschacbasov produced an intriguing body of art with powerful impact and resonance in today’s world. For a look at the work of this exceptional artist, visit our gallery or view it here. Our customized approach to matching our clients with work of the highest aesthetic quality allows us to provide collectors with excellent investment opportunities along with the sheer joy that comes with owning fine works of art. We invite you to come in and experience our concierge service and discover these singular pieces, or please contact us at arthur@arthurtkalaherfineart.com.